Already recognized as two of the most consistent House producers in the UK right now, their remixes and originals have been rocking dancefloors all over the world since they hit the scene in 2014. Already recognized as two of the most consistent House producers in the UK right now, their remixes and originals have been rocking dancefloors all over the world since they hit the scene in 2014. 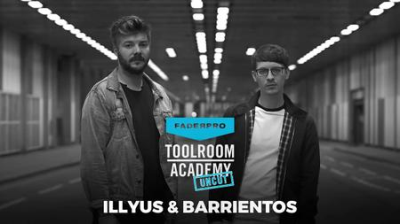 They've been picked as one of Pete Tong's Future Stars on BBC Radio 1, and 2017 saw them booked at bigger and bigger clubs and releasing on Suara, Defected, Cr2 and of course the mighty Toolroom Records. Now 2018 sees them setting their sights on even bigger successes, with more remixes, more releases and a huge summer ahead. Don't miss this chance to go side-by-side with them in the studio to watch and learn how they craft their signature sound.